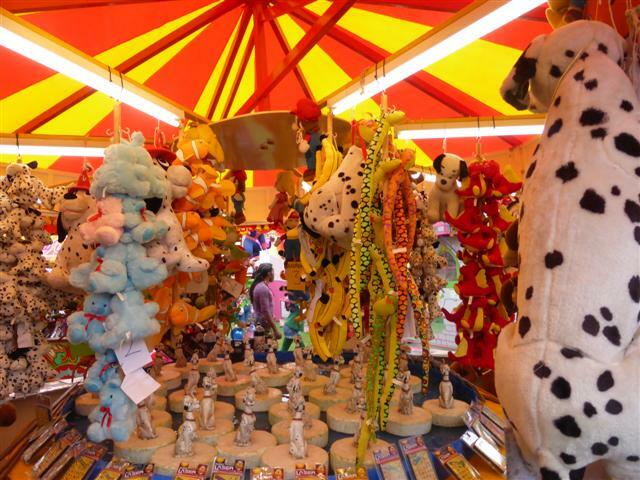 Home » children » Countries » Featured Articles » UK » FAIRGROUND ATTRACTION! (with apologies to the group of that name!) Stevens Funfair, Part 2. FAIRGROUND ATTRACTION! (with apologies to the group of that name!) Stevens Funfair, Part 2. The Funfair Showman business must be one of the only businesses in the world where the children don’t need any persuasion to get involved, and eventually take over from their parents! Although Charmaine Stevens was made to have a good education by her parents, Joe and Peggy Stevens, the fairground was in her blood. She started working part-time, accompanied at all times by a member of Staff, at the tender age of 11, and loved every minute of it! The Fair was originally owned by Charmaine’s Grandfather, the late, great Showman Billy Smart. One day he bought a small circus, and it grew rapidly. He never missed a chance of publicity. Charmaine was christened in the circus ring when the circus was in Bournemouth. And the Smart family brides often arrived at the church, riding on an elephant! When the circus arrived in town, they always held a big parade from the station to their latest site. As there were as many as 23 elephants, let alone the other animals, performers, etc it always pulled a massive crowd. I used to love watching the Billy Smart’s Circus on the TV. Within a short time, it became hard to find locations big enough for both the circus and the Funfair. So they had to split. Billy’s daughter, Peggy and her husband Joe Stevens took over the funfair. Joe built up the Fair and it travelled all over the country. Travelling to Glasgow used to take them 2-3 days! Joe and Peggy were also professional ballroom dancers. They hadn’t decided on a name for their baby daughter, and then the 1st waltz played. It was the tune, ‘Charmaine’ and that was it! I met Charmaine in her luxurious caravan. She’s 66, but looks at least 20 years younger. The hard work, long hours, and travelling has obviously agreed with her. Jealous, Moi?! She and her husband also have a house near Heathrow, so they often go home when the fair’s near enough to make the journey. And they can get some paperwork done in peace. After her schooling, Charmaine took a secretarial course, which has always come in useful. She has to have all the following year’s bookings completed by January, before they re-open at Easter. Charmaine’s son and son-in-law are the first to arrive at a new site. They carefully mark out where each stall and ride will go. And they have to make sure that there are enough openings for the crowds and any emergency vehicles. Although the Stevens family owns most of the rides, etc other Showmen apply for space on sites when the ad appears in World’s Fair, and they have to submit their measurements to Charmaine. So the Fair varies every year, and from site to site. Most of them are known to Charmaine. They’re very professional; after all, it’s their business! As they own their own equipment, they look after it very carefully. Every ride has an annual Certificate of Hydraulics and Engineering. Each ride has a Risk Assessment. Charmaine checks all the Certificates and sends them to the local Councils. Nobody can operate without one. Nobody! Every owner carefully checks their equipment after it’s been erected. Accidents in this country are very, very rare. This is proved because the insurances are as low as a car! Every ride is dismantled and checked again every two weeks, when they move to another site. They have regular staff who are family members, or who have been with them for many seasons. Pee-Wee has been with Perry Davis for 22 seasons. The Fair stops touring at the end of September, but there’s a lot of work to be done through the Winter; especially maintenance. The Showmen are a close community. They go to lots of functions when they’re not working; exhibitions, weddings, parties. But they don’t get married on Saturdays. They’re all too busy working then!